FA: Bryan Law, George Ridgley, 10/07. A fun, varied route starting with big orange edges on a white face, with slab, knobs and cracks (both vertical and horizontal). 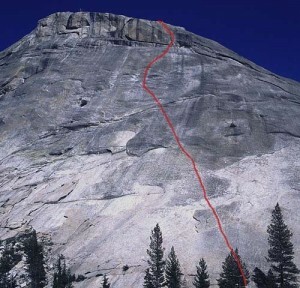 The route is 130’ long, so to descend climb right to the anchor for Eddie Muenster and rap with a single 60m rope. Which SuperTopo guidebooks include a topo for String Cheese?